Ladies and gentleman, the moment you've all been waiting for. As expected, this afternoon's day-brightening news (or part of it, at least) arrived in Cupertino in the form of a brand-new handset. CEO Tim Cook took to the stage at Apple HQ to introduce the world to the iPhone 5s (lowercase "s," mind), the second of two handsets announced today. The new phone follows the number- / letter-naming scheme set in place way back in twenty 'o nine with the introduction of the 3GS and carried on with 2011's 4S. As with those handsets, the new device's name implies that this round is something of an iterative update to last year's iPhone 5. According to Phil Schiller, the handset is "the most forward-thinking phone we've ever created." As expected, it's set to arrive in three colors: black, silver and gold. 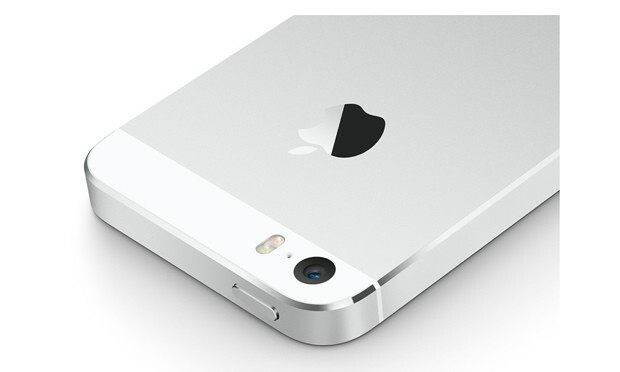 The 5s is crafted in high-grade aluminum with chamfered edges. What the the "s" stand for? Well, inside, you'll find a 64-bit A7 processor that features twice the number of transistors as its predecessor, clocking in at more than 1 billion, according to Schiller -- the CPU and GPU, meanwhile, promise speeds twice as fast. There's OpenGL ES 3.0 on board, but the next-gen handset still promises, thankfully, to remain compatible with the 32-bit apps of yesteryear. The 5s also rocks the new M7, which monitors motion data in real-time, with help from the accelerometer, gyroscope and compass -- a feature that'll work nicely with fitness apps like the new Nike+ Move. And what of that ever-present issue of battery life? Apple's promising a full 10 hours of 3G talk time and LTE browsing. The phone should also stay alive for 40 hours of music playback for all of your live Grateful Dead material and 250 hours on standby. Imaging, not surprisingly, is getting some love on this refresh as well. The camera features a sensor that's 15 percent larger than the one on its predecessor as well as a five-element, Apple-designed lens with an f/2.2 aperture. Also on board is autofocusing matrix metering, so you can leave the arty blurring to Instagram. Even the flash is getting an upgrade this time out. Apple's offering up "True Tone," which features 1,000 variations of color temperatures to help you get things like flesh tones just right. And what about your shaky photographer hands? There's image stabilization on-board, as well as burst mode. Hold the shutter button down and you can snap up to 10 frames a second, to get the perfect picture. You can grab one or more multiple images there, which should help those looking to get into the animated GIF business. Or you can just shoot the thing in slow motion at 120 frames per second. It's not quite Nokia proportions, but Schiller showed off a panoramic shot during the demo that clocks in at 28 megapixels and lets you adjust the picture's exposure as you're taking it. We know what you're thinking: but what if somebody wants to steal my fancy new feature-filled phone? Good news, that left-field fingerprint reader folks were predicting ahead of launch is on board here. The phone features a 170-micron-thick sensor with a 500 ppi resolution built into the Home button that'll biometrically let you into the phone. 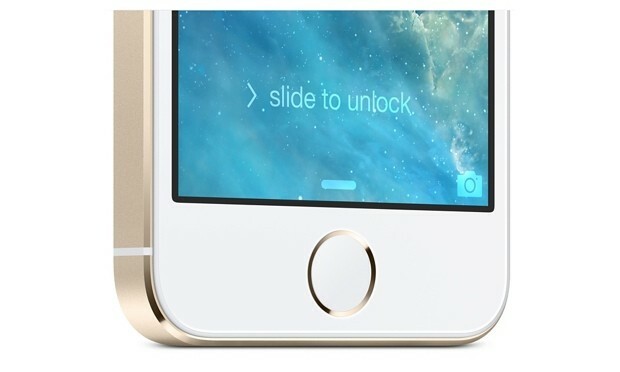 Apple calls it Touch ID, building the feature directly into the operating system. This means that you can use the feature to buy stuff off iTunes securely, assuming no one else has access to your fingertips. Oh, and if someone else wants to access your phone, you can also set the thing up to read multiple fingerprints. And before you ask, for extra security, all of that fingerprint information isn't stored directly to Apple's servers, because Apple apparently isn't in the market of collecting that info. So, when can we mere mortals actually get one? The handset is available for pre-order in three days. It'll start hitting Apple stores on the 20th in the US, Australia, Canada, China, France, Germany, Japan, Singapore and the UK. In December, that list will expand to include more than 100 countries. Here in the States, meanwhile, it'll start at $199 for the 16GB version, with 32GB and 64GB models running $299 and $399, respectively. Oh, and in the off chance that you're not a fan of cracked screens, Apple's also offering up proprietary cases that'll run you $49 a pop. Need even more info? Good news, there's a press release below. "Follow our liveblog for all of the iPhone news as it happens." Apple® today announced iPhone® 5s, the most forward-thinking iPhone yet, featuring an all-new A7 chip, making iPhone 5s the world's first smartphone with 64-bit desktop-class architecture for blazing fast performance in the palm of your hand. iPhone 5s redefines the best smartphone experience in the world with amazing new features all packed into a remarkable thin and light design, including an all-new 8 megapixel iSight® camera with True Tone flash and introducing Touch ID™, an innovative way to simply and securely unlock your phone with just the touch of a finger. iPhone 5s comes with iOS 7, the most significant iOS update since the original iPhone, engineered for 64-bit technology and featuring hundreds of great new features, including Control Center, Notification Center, improved Multitasking, AirDrop®, enhanced Photos, Safari®, Siri® and iTunes Radio℠. "iPhone 5s is the most forward-thinking smartphone in the world, delivering desktop class architecture in the palm of your hand"
"iPhone 5s is the most forward-thinking smartphone in the world, delivering desktop class architecture in the palm of your hand," said Philip Schiller, Apple's senior vice president of Worldwide Marketing. "iPhone 5s sets a new standard for smartphones, packed into its beautiful and refined design are breakthrough features that really matter to people, like Touch ID, a simple and secure way to unlock your phone with just a touch of your finger." The all-new A7 chip in iPhone 5s brings 64-bit desktop-class architecture to a smartphone for the first time. With up to twice the CPU and graphics performance, almost everything you do on iPhone 5s is faster and better than ever, from launching apps and editing photos to playing graphic-intensive games-all while delivering great battery life. Apple also engineered iOS 7 and all the built-in apps to maximize the performance of the A7 chip. iPhone 5s is the best mobile gaming device with access to hundreds of thousands of games from the App Store℠, the A7 chip's 64-bit architecture and support for OpenGL ES version 3.0. iPhone 5s delivers incredibly rich and complex visual effects, previously only possible on Macs, PCs and gaming consoles. iPhone 5s introduces Touch ID, an innovative way to simply and securely unlock your iPhone with just the touch of a finger. Built into the home button, Touch ID uses a laser cut sapphire crystal, together with the capacitive touch sensor, to take a high-resolution image of your fingerprint and intelligently analyze it to provide accurate readings from any angle. Setting up Touch ID to recognize your fingerprint is easy, and every time you use it, it gets better. The Touch ID sensor recognizes the touch of a finger so the sensor is only activated when needed, preserving battery life. All fingerprint information is encrypted and stored securely in the Secure Enclave inside the A7 chip on the iPhone 5s; it's never stored on Apple servers or backed up to iCloud®. Touch ID can also be used as a secure way to approve purchases from the iTunes Store®, App Store or iBooks Store℠. iPhone 5s makes it even easier to take great photos with the world's most popular camera. The all-new 8 megapixel iSight camera features a larger f/2.2 aperture and a new, larger sensor with 1.5μ pixels for better sensitivity and low-light performance, resulting in better pictures. These improvements, along with the Apple-designed image signal processor in the A7 chip and the new Camera app in iOS 7, provide up to two-times faster auto-focus, faster photo capture, automatic image and video stabilization, and better dynamic range. iPhone 5s introduces the new True Tone flash-the world's first for any camera-that variably adjusts color and intensity for over 1,000 combinations, so photos taken with a flash appear more natural. iPhone 5s also includes a new Burst Mode, Slo-Mo video with 120 fps, a new FaceTime® HD camera for better low-light performance and audio-only FaceTime calls with iOS 7.
iPhone 5s features a remarkable thin and light, precision-crafted design that customers around the world love, including an anodized aluminum body with diamond cut chamfered edges, a stunning 4-inch Retina® display and glass inlays. iPhone 5s is available in three gorgeous metallic finishes including gold, silver and space gray. To complement iPhone 5s, Apple designed premium leather cases in six rich colors-beige, black, blue, brown, yellow and (RED)-with soft, color-matched microfiber lining. iPhone 5s customers have access to the revolutionary App Store, which offers more than 900,000 apps to iPhone, iPad® and iPod touch® users in 155 countries around the world. More than 50 billion apps have been downloaded from the App Store to date, offering customers an incredible range of apps in 23 categories, including newspapers and magazines in Newsstand, games and entertainment, business, news, sports, health and fitness and travel. Designed specifically for iOS, iPhoto®, iMovie®, Pages®, Numbers® and Keynote® are among the most popular apps in the App Store and are now available as free downloads with the purchase of iPhone 5s. iPhoto and iMovie enable you to do more than you ever thought possible with your photos and movies, and with Pages, Numbers and Keynote you can create, edit and share stunning documents, spreadsheets and presentations on your iPhone, iPad or iPod touch. iPhone 5s comes in gold, silver or space gray, and will be available in the US for a suggested retail price of $199 (US) for the 16GB model and $299 (US) for the 32GB model and $399 (US) for the 64GB model.⁵ iPhone 5s will be available from the Apple Online Store (www.apple.com), Apple's retail stores, and through AT&T, Sprint, T-Mobile, Verizon Wireless and select Apple Authorized Resellers. iPhone 5s cases will be available in beige, black, blue, brown, yellow and (RED) for a suggested retail price of $39 (US) through the Apple Online Store (www.apple.com), Apple's retail stores and select Authorized Apple Resellers. iPhone 5s will be available in the US, Australia, Canada, China, France, Germany, Hong Kong, Japan, Puerto Rico, Singapore and the UK on Friday, September 20. A new iPhone 4S 8GB model will also be available for free.⁵ iOS 7 will be available as a free software update starting on Wednesday, September 18 for iPhone 4 and later, iPad 2 and later, iPad mini and iPod touch (fifth generation). Some features may not be available on all products.